Hotel Mawamba is located in Tortuguero, on a piece of land between a canal and the ocean, just a short walk from the beach. Tortuguero is a network of lake and canals and is accessible only by boat or air. Because of its remote isolation, this hotel offers an exclusive look at a tropical environment that serves as an important nesting ground for sea turtles. Nestled in the lush rainforest, this is the ideal hideaway for nature lovers with its 15-acre (6-ha) beachfront property. The beach here isn't safe for swimming, but it does make a beautiful place to take a walk or nap in a hammock. If you'd like to explore downtown Tortuguero, the town takes 10 to 15 minutes to reach on foot. The family-style restaurant caters International and delicious local cuisine and a pool, which is surrounded by beautiful gardens where you can enjoy exotic tropical cocktails in the shade of a palapa. Take leisurely strolls on the grounds, which include the Mawamba Park withs butterfly farm and the frog farm. On the grounds of the hotel you'll also spot sustainable projects, like the biodigester. Every evening you can attend educational lectures in the conference room. All the spacious and comfortable rooms All feature a private bathroom with hot water and ceiling fans and offer tranquil garden views. Mawamba also offers larger superior rooms. All room are non smoking. The lodge serves a delicious variety of food, and you can have a meal on the lodge's floating restaurant as you cruise around the lagoon. This spectacular area has an array of excursions available. Watch sea turtle nesting during the season (from July thru October). There are several marine tours available — take a fishing excursion or a sunset boat ride out on the canal. "This place has great food, a great location, great wildlife, and you are surrounded by the jungle river and the Caribbean Sea on two different sides. So cool!" 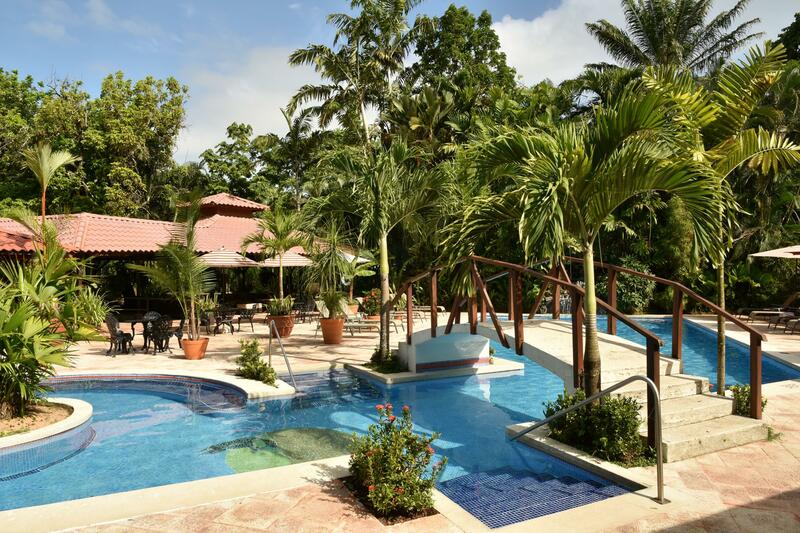 This place has great food, a great location, great wildlife, and you are surrounded by the jungle river and the Caribbean Sea on two different sides. So cool! We absolutely loved our stay at Mawamba Lodge!!!! I was smitten the minute we arrived and were greeted with wash clothes and a drink. The grounds are spectacular, with many different areas for relaxing. My favorite was the hammocks located close to the water. Perfect for an afternoon siesta. We were treated very well and wouldn’t hesitate to return. Fanatic place to stay and the guides were excellent. Great food, pool and atmosphere. We absolutely loved every minute of our stay at the very special place. I loved my whole experience here. 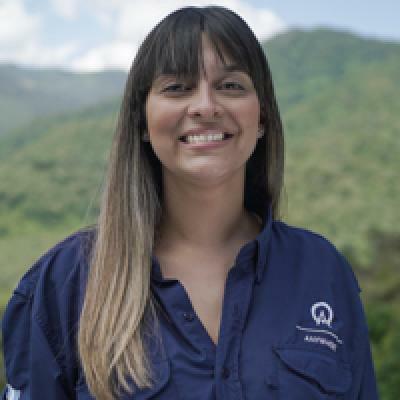 The isolation, the all-inclusive experience, and our tour guide (Ana Maria!). The staff were wonderful, the food was great, and the rooms were clean and comfortable. This was really an all inclusive experience including meals, transportation, and tours. It is a lodge, not a hotel so it's a bit rustic. Don't expect AC or TV in the rooms and the walls a very thin. We had an exceptional guide named Jackie who was very warm, caring, well informed and proud of her country. She was the highlight of our first few days in Costa Rica. Because we spent a third night here they included 2 more tours for that day and insisted they prepare a steak dinner for us on our last night. On one of those tours our new guide, Owen, took us on a hike where we were fortunate to see a whole troop of white faced Capuchin monkeys from very close up. It was amazing. Beat expectations - great people and a great place to stay. This hotel exceeded our expectations. Staying at Mawamba was definitely the highlight our our trip. They even upgraded us to our own villa with a Jacuzzi tub. Loved this place. They were fantastic and offered us a better room when they knew that it was our second visit to their hotel. Rustic but so worth it to see the animals we were able to see. Beautiful! I'm so glad you put us in a lodge that connects to the beach. And I loved all of the nature/animals available to see right on the resort property. This is a lodge, not a Hotel, as such it was fantastic. The Caribbean sea to the rear and the natural canal at the front, because we had three nights we had the opportunity to repeat and choose when we did trips, two nights may be a little tight to appreciate the establishment. You need time to just chill, great gardens, buterfly nets, frog net and it own forest walk, walking distance to the village, for that sunset drink. One of the few places where you can see the three Monkeys, Sloths and many species of bird on the garden and on the boat trips. Hot showers and electric. This was an amazing place! Would definetly come back! Really a nice place. At first we tought it may be a bit expensive but it worth it! Love all included activities and the place is really nice... Probably the best hotel we've been in this trip. How can you go wrong staying between the ocean and a river? Loved the setting and, since we extended an extra night, the staff insisted on a separate menu on the last night. Fantastic! My favourite part of our trip, our guide Humberto took really good care of us and pointed out lots of wildlife and imparted loads of knowledge making the journey seem really short. The hotel staff were on the jetty waiting for us with a welcome drink which was delicious. The room was clean and comfortable, I really liked being able to hear the wildlife outside. Mawamba lodge is brilliantly diverse so you can very easily fill a day looking at things in the grounds. The turtle tour was a highlight for me, it is brilliant that the local people care about these beautiful creatures, our guide Dino was a lovely man who made sure that we got a great view of her laying her eggs whilst making us feel comfortable that we were not causing her any distress. The hotel staff prepared us well and we learnt a lot about the turtles nesting behaviour. We LOVED our experience at the Mawamba Lodge. Liza, our guide make the experience memorable, she was very knowledgeable and set the bar for the remainder of the trip. It was here that we relied on the service to help get our lost luggage back from the airline. They did an excellent job in helping us communicate. Great place to stay! Guide was great and with a good knowledgw of the widlife and made us aware of sustainability efforts. Very clean. Staff was very helpful. Our guide Chris did a great job. Overall value was great. Fantastic. Clean, professional, helpful, great food.